The white-fronted manakin (Lepidothrix serena), a tiny Amazon bird locally know as uirapuru-estrela, inhabits the forests on uneven terrains not subject to flooding. It can be found in the Brazilian states of Amapa, Pará and Amazonas, and also in parts of Suriname, Guyana, and French Guiana. 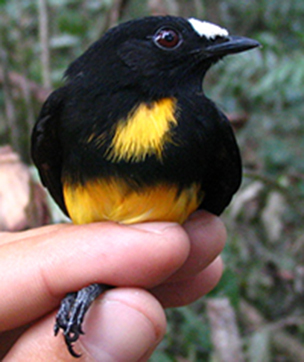 By providing species diversion through its fruit eating habit, this manakin makes an important contribution to environmental services. One of the most distinct features of this species is that the male plumage displays spectacular blue markings in a ritual to conquer the female. WWF-Brazil’s officer Luiz Coltro, an expert on the evolution and biogeography of Amazonian birds, says that the Tumucumaque Mountains National Park, in the Brazilian Amazon, offers all the protection needed for the white-fronted manakin. 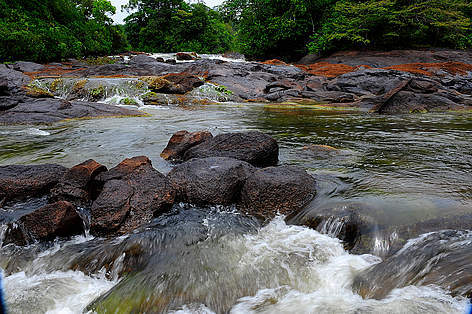 WWF-Brazil’s support was key to implement the park’s management plan, zoning policy and advisory council, ensuring the protection of the entire fauna and flora of the region.